Beer is good. Wine is good. Beer plus wine is very good. 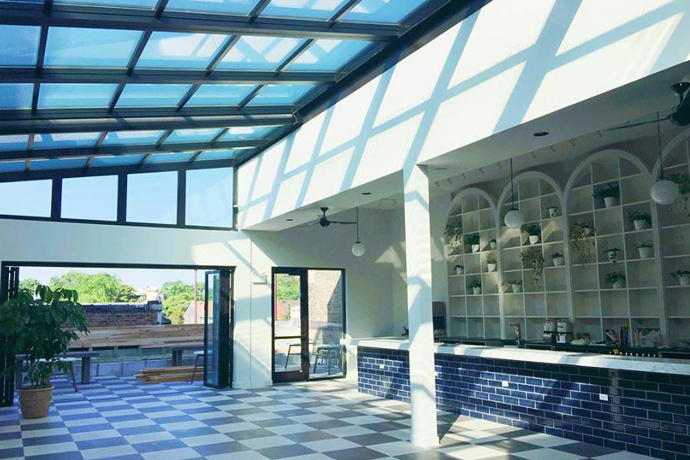 Bringing your two loves together under one roof is Rootstock Wine & Beer Bar, a charmingly quirky beer/wine/burger nook opening in a scant five days in Humboldt Park. Think of Rootstock as Avec meets the Publican with a healthy dash of thrift-store chic. Started by three Webster's Wine Bar vets who decided this 'hood needed something more than another PBR stop, Rootstock will be your place for cozy first dates and collegial big-group hangs. Stepping in, it feels like you've ducked inside a hipster friend's apartment, complete with a Craigslist trove of refurbished antique furniture. If you're here with a love interest, snag a table and get to know each other over an obscure Austrian rosé, a not-too-sweet Riesling or 16 other wines by the glass, plus small-farm cheese from the woman who used to cheese Spiaggia. If you're out with pals, claim a communal table and commence the downing of ancient, exotic beers like the aromatic 13th Century Grut Bier (it uses a recipe from the 1200s, hence the name), pacing yourself with grass-fed burgers, beer-battered frites and mussels swimming in Goose Island Matilda.